What a difference a splash of colour makes! You will remember a few months back in my Ottoman post that I mentioned I had some fabric for making cushions? 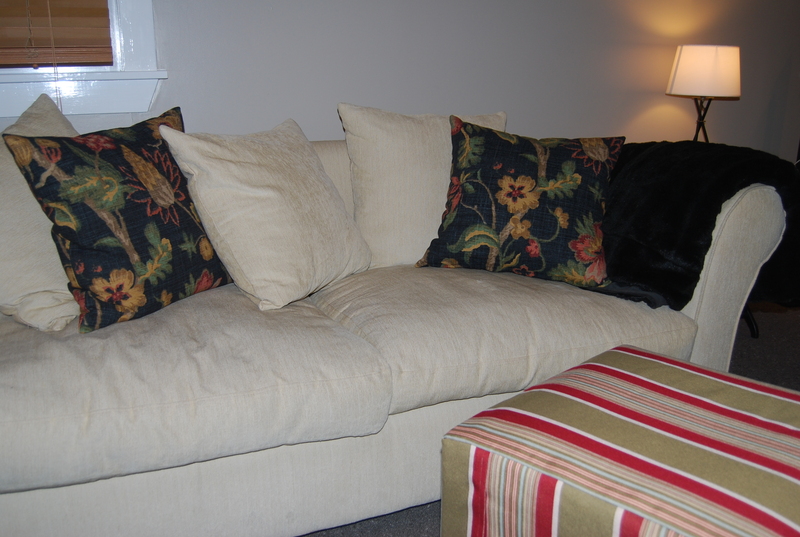 Well on Sunday I finally managed to make these and complete my ‘couch makeover’. I am so pleased with the result, it really has given the couches a whole new look and brightened up the room, and we’re so fortunate that the paint colour in our new house complements it all so well 🙂 I must thank my mum yet again who taught me how to do the concealed zips – I didn’t think I would be able to do them quite like hers but I managed to pull it off!